Papa John’s founder John Schnatter has been fighting to wrest back control of his company since he resigned as chairman of the board several months ago. Now he’s testifying in court as part of a Papa John’s-related lawsuit, according to Ad Age, as he tries to get access to some company documents. Within the proceedings, he was asked whether he had had “some settlements with some women.” Schnatter stated that he “has confidentiality agreements with at least two women” but didn’t specify what those pacts entail. Although Schnatter did not elaborate on these non-disclosure agreements, Ad Age states that he testified that he had an NDA with a woman that he said he couldn’t comment about. 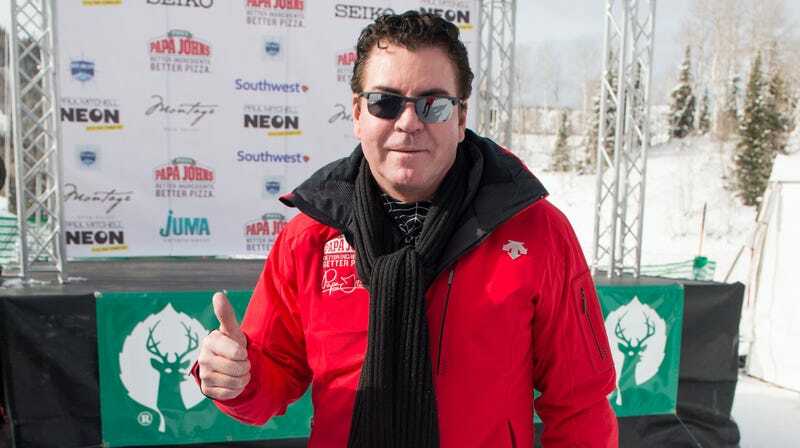 According to Ad Age, the woman sued Schnatter and Papa John’s in 1999, “alleging that he’d sexually harassed her for months, repeatedly visited her house and kissed and groped her, according to court filings.” Schnatter denied her allegations. Garland Kelley, one of Schnatter’s lawyers, said that the other NDA involves allegations about a woman misappropriating money from Papa John’s, and declined to elaborate further. Schnatter remains in court, even as the company he founded but is no longer in control of, Papa John’s, continually tries to distance itself from him. While Schnatter is in court to try to access documents, the company said in a statement regarding the paperwork: “There is nothing he’s entitled to that he hasn’t already received.” And the battle between the Papas John continues.